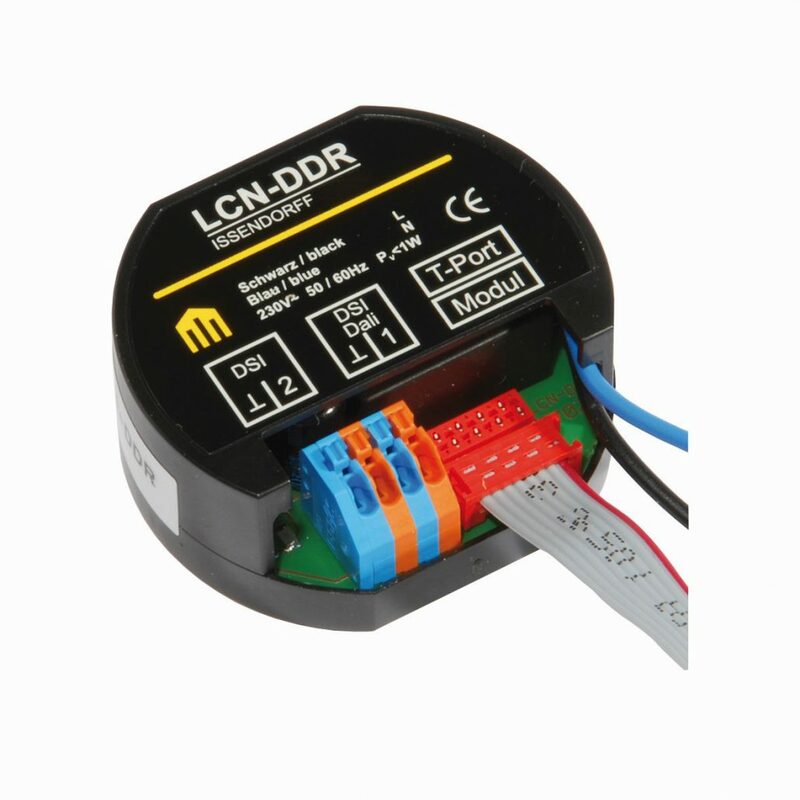 The LCN-DDR is an interface to control digital ballasts with DALI or DSI protocol. It is connected to an LCN-UPP-, LCN-UP24- or LCN-UPS modulte via the T-Port of the module. Note: The LCN-DDR data wire is related to the N potential. Using LCN-UPS or LCN-UP24 there are to switched-off outputs available. For this reason the DSI ballasts are switched on permanantly. To provide short addresses to the ballasts use the software from the manufacturer of the ballasts.With LCN modules since 08/2004 additional EIB keypads can be used. The LCN-DDR module can not be used in together with LCN-LSH, LCN-AD1 or LCN-GT keypads with display.